More of the huckstering pseudo-science we've come to expect from the peak oil doom cult. No evidence or data -- just faulty analogy, fluffed with fear, larded with opinion, and sold via MasterCardTM over the Internet. Apparently the ongoing credit armageddon hasn't shortcircuited Savinar's retail channels... yet. 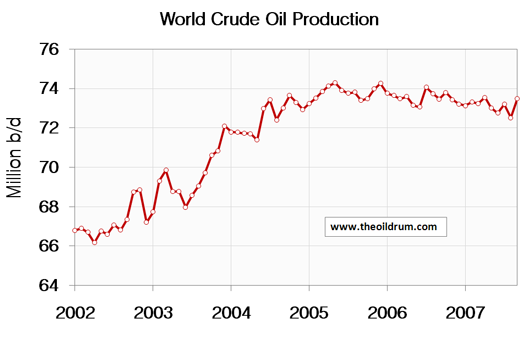 So what really does happen when global oil production drops by 15%? Well, it turns out we know the answer to that one because it actually happened once before, in the early 1980's. Production hit a high of 66mbd in 1979, and over the course of 4 years dropped by 14% to 56.6mbd in 1983. In fact, oil production didn't surpass the 1979 high until 1993, 14 years later (Source: BP Statistical Review 2007). Let's call this event "The Big Glitch". 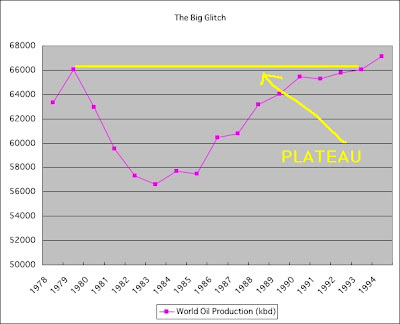 So what did the world look like in 1983, after oil production had collapsed by 15%? I'll tell you what. Go out to your local freeway, and look at it during rush hour, when it's totally crammed with cars. That's exactly what 1983 looked like. I was gassing up as usual, totally oblivious. The "crisis" had such a minor impact on daily life, that I didn't even realize anything out of the ordinary was happening, let alone a liquid fuels armageddon that was wholly shattering the oil dependent economy and reducing the citizenry to poverty. I could be wrong about this, but I'm pretty sure that no one was forced by starvation to eat their Flock of Seagulls albums. The world economy didn't miss a beat. 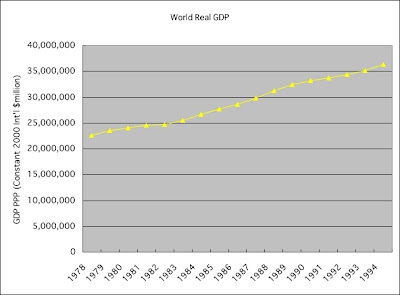 Over 14 years from 1979 to 1993, the world economy grew by 60%, despite a 0% increase in oil production. 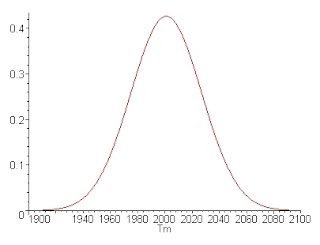 Individual countries: These have rapid patterns of rise and fall, sometimes following the classic Hubbert curve, sometimes not. The world: Regarded as a sort of "big country" which will hit a peak, and rapidly decline shortly thereafter. 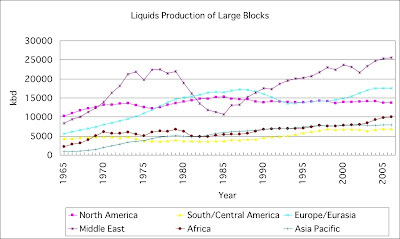 However, the evidence I presented in the previous entry (#322 below) suggests that large blocks (continents and other supranational units) will behave differently than the individual countries which make them up. Asia-Pacific has been on a plateau of 6-7mbd for almost 20 years. South/Central America has logged a couple of long plateaus, most recently a plateau of about 6.5mbd for 10 years. The evidence suggests that the world (as the largest supranational unit) will plateau for a very long time -- even decades -- just like CERA says. The slow decline of oil production in the United States (specifically the continental US) is aberrant and not be generalized. Rather look to Mexico and it's supergiant field Cantarell for guidance (declines of 12%), the North Slope and North Sea (8-12%) Yibel, and a host of other regions depleted with great expertise, at great expense, using the most modern technologies available. This is our future. The argument is pretty primitive, and generally isn't any more sophisticated than that. Cliffers cherry pick the worst years, in the worst countries, wave their magic wand and say "That's how the world will perform". The cliffer argument ignores an important fact: Small or even fairly large areas collapsing at high rates have very little effect on the world. If Yibal (at 250kbd) collapses in one year, for a decline rate of 100%, the world only drops by 0.3%. Even if Ghawar collapses at 12% a year, that will only shave 0.7% per year off the world total. Let's look at some individual countries to see how this works. That's an annual decline rate of 2.8%, not 12%. Even Mexico (during the collapse of Cantarell!) doesn't collapse like Cantarell. For the North Slope, stats(pdf) from the Alaska Tax Division show that liquids production dropped from a peak of 2.006mbd in 1988 to 0.74mbd in 2007. That's an annual decline rate of 5.2%. But, as we know, that was absorbed into U.S. liquids production, which has been declining at a mild rate of 1.4% per annum since 1970. 970kbd in 2000 was Oman's EIA C&C peak, and today it pumps 707kbd. That's an annual decline rate of 4.4%. Well short of 8-12%. UK C&C peaked in 1999 at 2684kbd and today is at 1486kbd, for an annual decline rate of 7.2%, still below 8-12%. Furthermore, all of these rapidly collapsing fields/regions were uneventfully absorbed into world C&C production, which has declined from a peak of 74.3mbd in May 2005 to its most recent value of 73.5mbd in Sept. 2007. So, despite all of these collapse horror stories, world oil production has maintained a mild decline rate of 0.5% per annum since its peak in May 2005. In this case, k=12.66%. So the theory predicts that, over time, the UK decline rate will approach 12.6%. This means that the high decline rate of the UK is not an unexpected violation of Hubbert Theory, but rather a confirmation of it. Production went up steep, and it's coming back down steep. The curve is symmetrical and there is no "cliff". 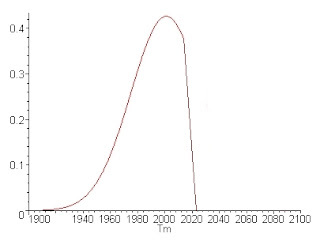 In all cases I have looked at -- UK (k=12.66%), Norway (k=16.47%), US (k=5.4%) and the world (k=5%) -- the severity of the post-peak decline is indicated well by the k-value of the region's Hubbert-Linearization. In fact, I am confident enough in this method to stir the pot and make a prediction. JD's Prediction: World C&C production will decline at an average annual rate of 1% for 15 years after the world C&C peak (whether that be May 2005, or some future date). I think there's a consensus here that phosphorus NOT nitrogen fertilizer is the weak link. Yep, the doomers have thrown in the towel and moved on to the next fertilizer scare which, incidentally, has no connection whatsoever with peak oil. LOL. But let's check it out anyway. Phosphorus is a critical fertilizer we need to grow food, and the earth has only a finite supply. Like oil, someday phosphorus will peak, terminally decline, and run out. 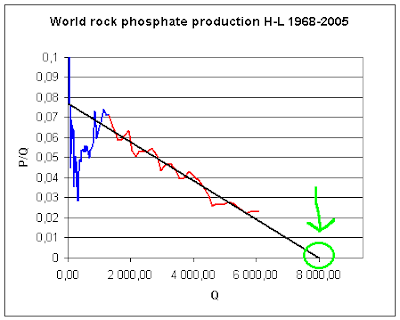 The article claims that worldwide production of phosphate rock (the source of phosphate; I'll call it "PR") peaked in 1989 although that is certainly a mistake because the USGS data(pdf) the authors rely on indicates a world peak in 1988 at a level of 166 million metric tons. Fixing that for them, let's evaluate the claim that PR peaked in 1988, and is now in terminal decline. Current reserves are more than twice the claimed URR. 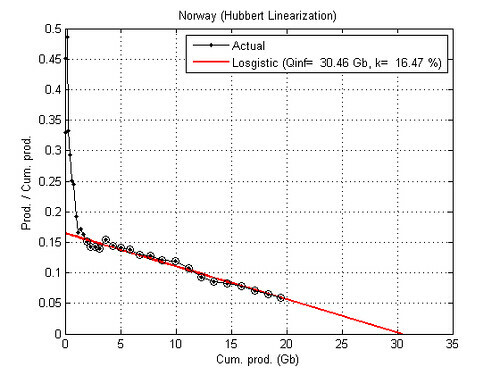 So clearly this Hubbert-Linearization has been cooked for propaganda purposes. 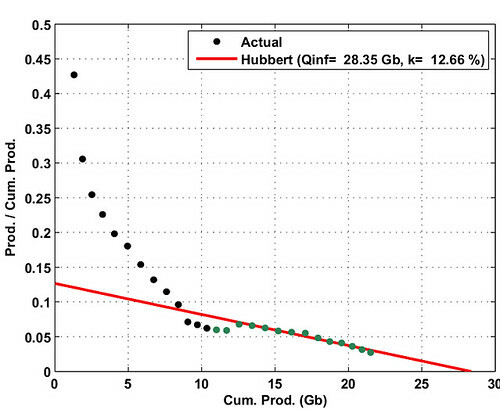 In fact, since cumulative production to date is about 6 billion metric tons, the area under the red curve in Fig. 1 is going to have to be at least three times larger than shown (6 to date + 18 reserves = 24). And that's just counting reserves -- i.e. phosphate which can be economically extracted with current technology. 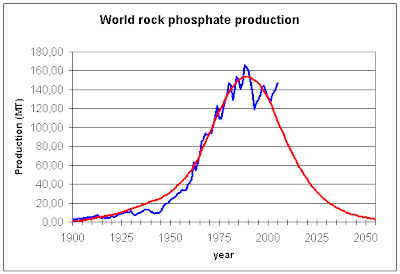 I asked Stephen M. Jasinski, the USGS phosphate rock specialist, for his opinion on this matter, and he said: "Phosphate production has likely peaked, but reserves will last about 300 years with current technology." Apparently, Mr. Jasinski sees the reserve base figure of 50 billion tons as the more credible figure in the long-term, and that would make the area under the red curve in Fig. 1 seven times bigger than shown. In conclusion, you can press the snooze button on "Peak Phosphorus". Note) By an interesting coincidence, it turns out that asteroids are rich in phosphorus, and may in fact have been the original source of phosphorus for life on earth (Source). This presents the future possibility of asteroid mining -- a natural part of our human destiny as we grow beyond the earth and into the solar system. Over the last few weeks, I've shown that the peak oil threat to the food system is greatly exaggerated. Fertilizer can be made without fossil fuel (#314), pesticides can be made with natural gas, coal or bitumen (#48), agricultural machinery can be driven with electricity (#317) , and a large part of the food system (fruits, vegetables, meats) depends more on human labor than oil-fueled machinery ( #319). But this still leaves the all-important question of transport. Can food be transported electrically? The answer is yes. Numerous electric rail-lines already exist between large cities throughout the world, and busy diesel lines can be electrified with off-the-shelf technology. This is probably the best method for high-volume, long-distance transport. 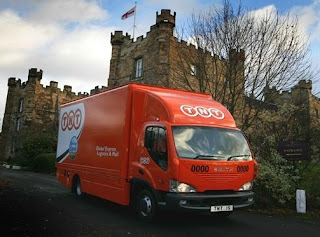 Kevin Harkins, Sales Director for Smith Electric Vehicles, stated that although automobile manufacturers believe that battery technology for mass-produced electric cars is some years away, Smith believes that for larger sized commercial vehicles the technology available today is perfectly suited. The specs of this unit are amazing: top speed 95mph with 4 passengers and cargo, 100+ miles per charge, 0 to 60 in 10 sec., 250,000 mile battery pack life, 10 min. recharge to 95% capacity. There doesn't seem to be any technical or economic impediment to electrifying suburban delivery and commercial vehicles in the U.S. In fact, there seems to be a strong incentive. 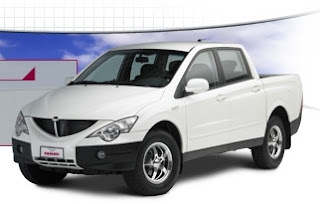 It may be that EVs first make inroads into large vehicles (trucks) and small vehicles (scooters), and only later penetrate into midsize vehicles (cars). The classic doomer soundbite: Peak oil will cause a massive worldwide die-off because modern agriculture is utterly dependent on oil for fertilizers, pesticides, agricultural machinery and transport. Fertilizer isn't made from oil, and can be manufactured without any fossil fuel at all (314. PEAK OIL AND FERTILIZER: NO PROBLEM). Pesticides account for an infinitesimal fraction of world oil production, and can be produced from coal or bitumen long after oil peaks (48. WHAT ABOUT PESTICIDES?). Agricultural machinery can be electrified to enable use of non-oil, non-liquid energy sources like coal, nuclear, hydro and renewables (317. ELECTRIC AGRICULTURAL MACHINERY). Heavy machinery spewing diesel exhaust. The big harvester-combine, mowing through the fields, blowing a stream of kernels into a transport truck. The operation definitely is oil-intensive. But there are ways of massaging that problem too, although I won't go into them today. Remember these people? Yes, of course you do. In the U.S., they're called migrant farm workers, or illegal immigrants. It makes you wonder: Why does the U.S. need so many of them if their agriculture is utterly dependent on oil (i.e. mechanization)? It turns out that, aside from grains (wheat, rice, corn), most of the fresh food you get at the supermarket is processed/harvested by human hands, not oil-burning heavy machinery. 2,775 farms covering 203,000 acres produced 7.5 billion lbs. 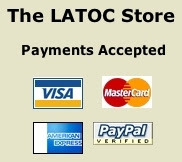 of head lettuce at a rate of 50 man-hours/acre using 11,000 harvest workers. 22,805 farms covering 236,000 acres produced 2.4 billion lbs. of fresh sweet corn at a rate of 30 man-hours/acre using 15,000 harvest workers. Check the stats for yourself. It's clear that many, if not most, fruit and vegetable crops have only a minor dependence on fossil fuel because most of the field work is done by people, not engines. Not much oil being consumed there. We certainly aren't mowing chickens into chicken parts with big oil-fueled combines. In fact, aside from transport and the oil inputs to chicken feed, most of the work on chickens is done in electric factories, or by human hand. This is a fertile area of inquiry, and I've only scratched the surface. The take-home message: There are two segments of the modern agricultural system -- foods which are highly dependent on oil-powered machinery, and foods which aren't. We're all familiar with The Long Emergency and Jim Kunstler's rants against suburbia. Apparently peak oil is going to drive gasoline prices through the roof, causing a Katrina-style evacuation to the cities, and making the American suburbs into the slums of the future. I don't buy this, first of all because the source is so obviously biased. 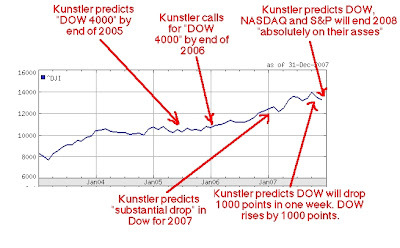 I think Kunstler is having a lurid fantasy more than making a sober forecast of the likely future. Second of all, I will prove to you that suburbia can be saved. I could do it with an electric bicycle (my favorite solution), but today I think I'll use a moped because mopeds are cool, and I like the idea of Kunstler tossing and turning in his sleep at the very idea that mopeds -- do you hear me?!! f*cking MOPEDs!! arggghhhh!! -- saved suburbia. [American commuters] report an average one-way commute time of 26 minutes (over an average distance of 16 miles). But the variance is huge: On the best days, the average commute is 19 minutes; on the worst days, 46 minutes. Recklessly calculating, it appears that Joe Sixpack commutes at a speed of about 37mph, dropping to 21mph in congestion, and rising to 50mph in smooth periods. YMMV. Black... looks cool. Not too dorky. That's important. Don't want to turn off the ladies. Schedules won't change much. 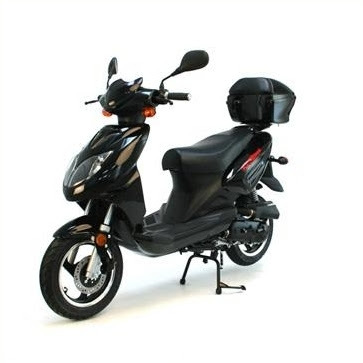 Even in smooth traffic, the car only edges the moped by about 2 minutes over the average commute of 16 miles. In congestion the moped will be far superior. Now, here is my argument: Since suburbia is so popular, and is such a massive sunk cost, it will only "die" if there is absolutely no way at all to save it in the face of peak oil -- i.e. if it is physically/financially impossible for people to remain in suburbia in the face of peak oil. I believe this moped solution shows that not to be the case. In fact, it is very feasible -- even easy -- for commuters to economically get to work, even with gasoline prices 4 times higher than they are today. No exotic solutions necessary. Therefore, suburbia will survive. During his time in power Pol Pot imposed a version of agrarian collectivization whereby city dwellers were relocated to the countryside to work in collective farms and forced labour projects, conceived as a restarting of civilization in "Year Zero." Because ecological organic farming methods are often dramatically more labor- and knowledge-intensive than industrial agriculture, their adoption will require an economic transformation of societies. The transition to a non-fossil-fuel food system will take time. Nearly every aspect of the process by which we feed ourselves must be redesigned. And, given the likelihood that global oil peak will occur soon, this transition must occur at a forced pace, backed by the full resources of national governments. Without cheap transportation fuels we will have to reduce the amount of food transportation that occurs, and make necessary transportation more efficient. This implies increased local food self-sufficiency. It also implies problems for large cities that have been built in arid regions capable of supporting only small populations from their regional resource base. In some cases, relocation of people on a large scale may be necessary. *) For those of you just tuning in to the peak oil issue, Richard Heinberg is author of "The Party's Over" -- a popular peak oil primer. Like a number of others, Heinberg is a fearmonger attempting to advance an extremist agenda under the pretext of peak oil. I have conclusively demonstrated that peak oil does not threaten the fertilizer supply ( #314). That doesn't stop the doomers, however. 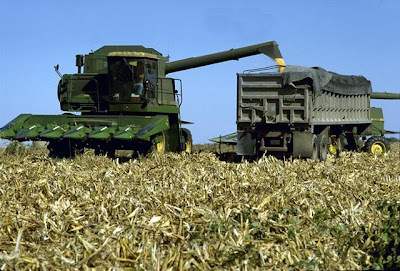 They say: We're still screwed because agriculture is utterly dependent on oil to drive agricultural machinery. It can't be driven with electricity. I say to all the electric jackasses to get off and come back when the first commercial electric combine harvester, crop duster, bull dozer or fertilizer plant is constructed. Oh yeah and make sure that they are completely manufactured using "renewable" electric power. We can now respond to bandits on the electric fertilizer plant. As referenced in 314. 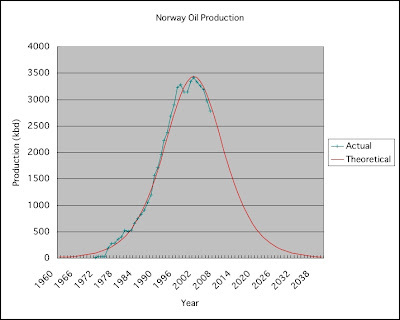 PEAK OIL AND FERTILIZER: NO PROBLEM, the first commercial electric fertilizer plant began operation around 1905, in Norway, and was a huge success. It's interesting that the ET-400 was designed primarily as "green" construction equipment to reduce emissions and noise. More photos and information on the ET-7 are available here and here. The large hydroelectric plan on the Dneiper River in Russia's Dnepropetrovsk province makes it possible for them to use electric farm equipment like the two-way plow shown on the front cover of this week's Science News Letter. Wow! That could be more than just an agricultural machine -- it could be a thrill ride. Put a pair of handlebars on the plow, and drag people at high speed through the soil for $3 a pop.